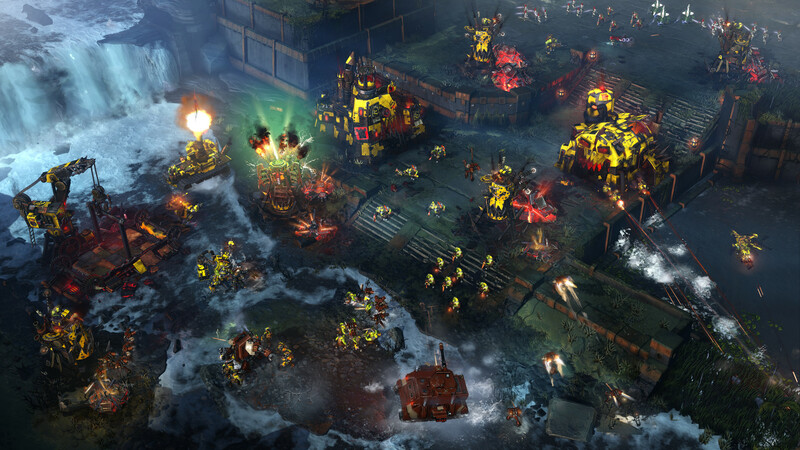 In the game Dawn of War III, you have no choice: after the mysterious planet Acheron was found a monstrous superweapon, you can only stand up to meet the enemies. In the battle for the planet, the army of the greedy orc leader, Gorgutz, the ambitious Eldar prophetess Mahi and the mighty commander of the Space Mariner, Gabriel Angelos, collided. Victory will get only one of them. command huge fighting machines and change the course of battles with the help of the biggest characters in the history of Dawn of War. At your disposal is the mighty Imperial Knight of the Space Marine, the rumbling gorkanavt of the orcs and the sinister ghostly knight of the Eldar. 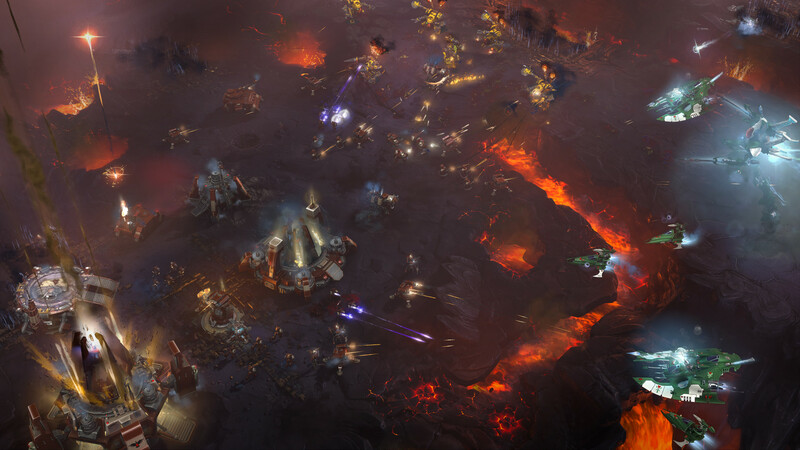 The game Dawn of War is known for its epic scope. Now here will unfold battles of the beyond limits. Lead to battle huge armies in the middle of a severe volcanic landscape and fortified orbital stations. send to the battle powerful elite squads, each of which has unique abilities and advantages that open access to new tactical moves. attack the enemy with all the might of your faction's super powers, triggering the orbital bombardment of the Space Marine, the Eldar storms of Eldritch, or the monstrous Orcish Cobblestones. study the advantages and disadvantages of Space Marines, Orcs and Eldar, performing a series of alternating assignments. Soon you will understand that in this universe there are no heroes and villains ... there is only war. the formation of your own unique army will begin with the very first skirmish with the enemies. Participating in the battles, performing exciting tasks of the campaign and winning on the network cards, you will attract more and more detachments under your banners. Your army will defeat any enemy in the online shootout mode. Join the community, create alliances - and then turn your weapons against former "friends" who have become enemies. All this - on dangerous, unpredictable and difficult maps.